Are you looking for a top-notch computer model to use throughout your business venture? Of course it’s important to equip your partners and employees with the best technology to do their jobs, but it’s also important to find computers that are easily portable and affordable for your current budget. With all those demands, it’s no surprise that many ventures (and a whole lot of schools) are turning to Chromebooks to get the job done. Let’s talk about Chromebooks, why they are ideal options for new offices, and what models you should be looking for. 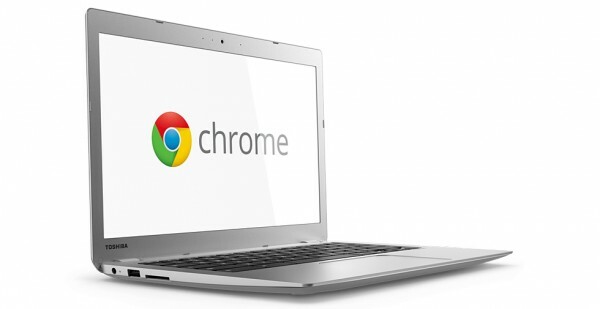 Much like ultrabooks, Chromebooks are designed to be extra-light and easy to move around. This is great for open floor offices, collaboration, travel, and other things that new companies often find necessary as they build their brand. Plus, when compared to the other laptops on the market, Chromebooks tend to offer the most features for the lowest prices, making them a sweet deal. 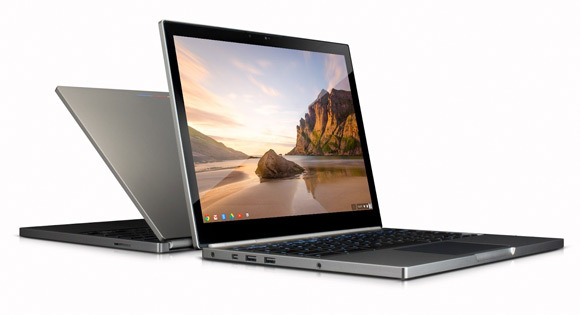 With several companies producing Chromebooks for several years now, you also get a lot of options when it comes to brand and specs, as well as potential enterprise-level deals for bulk-ordering your Chromebook shipment. If you’ve ever worked with Chrome OS before, you probably also know that it’s highly task-oriented and designed to work perfectly with cloud computing. While the best Chromebooks have a lot to offer, there are a couple things you need to keep in mind. First, Chrome OS is a little weird: It doesn’t offer any native support for the Microsoft Works suite, and it tends to run with pretty low RAM, so you can’t have a lot of tabs or programs open at once. This works if you base much of your work on online platforms or cloud software like Google Docs, Dropbox, etc. Another point to remember is that these lightweight laptops tend to skimp on specs. There’s a good chance your Chromebook will have fewer GBs of storage than your smartphone: Be prepared to store everything in the cloud or an external drive (it also really helps if your employees are already familiar with the Chrome browser). Chrome OS supports this method, and Chromebooks often come with free cloud storage perks. Toshiba Chromebooks are particularly affordable. Available for $329.99 from Amazon, equipped with a large HD screen, and sporting an iCore 3, the Toshiba Chromebook 2 is suitable for an enormous range of tasks, and can fit nearly any office. 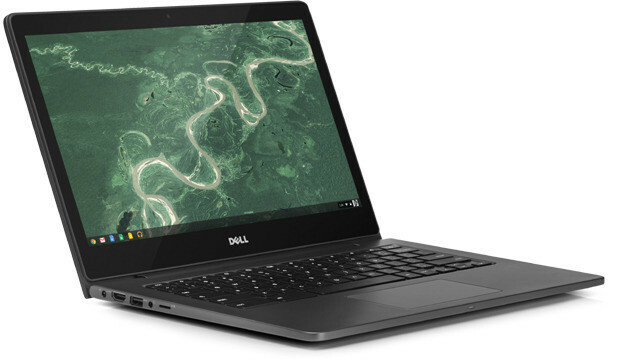 Dell creates a versatile and all-around solid Chromebook. This slim Dell model has a long battery life, which is always one of the most features of a Chromebook, and is known for its dependable design, which can weather bumps and makes for a great travel computer. Order right from Dell to get great customization options, too (including a touchscreen), or from Amazon. This Chromebook is very high end…with the price tag to prove it. The Pixel tried to walk the line between a full-feature laptop and a Chromebook. It has up to 64GB in an SSD, up to 16GB of RAM, choices up to an i7 processor, and around 12 hours of battery life. The HD touchscreen is suitable for even the most demanding graphic tasks. The big problem with the Pixel is that it’s very, very expensive compared to other Chromebook models.